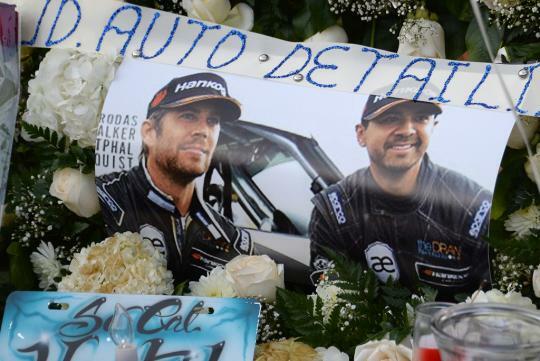 Kristine Rodas, the widow of Roger Rodas -- who in November 2013 was killed along with actor Paul Walker in a Porsche Carrera GT crash -- filed a wrongful death lawsuit against the automaker, according to several media reports. The suit filed Monday in Los Angeles Superior Court against Porsche Cars North America says Rodas was driving at 55 mph, not in excess of 90 mph as the official crash investigators determined. It also says the vehicle lacked a proper crash cage and safety features in the gas tank that could have saved the men. Finally, the suit claims a failure in the Porsche’s suspension forced it to careen out of control in Santa Clarita, Calif., striking a lamppost and several trees before it came to rest and burst into flames. The lawsuit seeks unspecified damages from Porsche Cars North America. “The Carrera GT was unsafe for its intended use by reason of defects in its manufacture, design, testing, component and constituents, so that it would not safely serve its purpose,” according to the suit. The post-crash investigation conducted by the Los Angeles County Sheriff’s Department and California Highway Patrol concluded that Rodas was driving the car too fast, and did not identify any mechanical problems with the Carrera GT. The difference of opinion between the official crash investigators and those hired by Kristine Rodas’s attorney will be a big part of the case. Rodas’ widow retained Los Angeles-area lawyer Mark Geragos, whose clients include convicted murderer and death-row inmate Scott Peterson, embattled entertainer Chris Brown and NASCAR driver Jeremy Mayfield. Rodas and Walker co-owned an auto racing team/exotic car shop named Always Evolving. 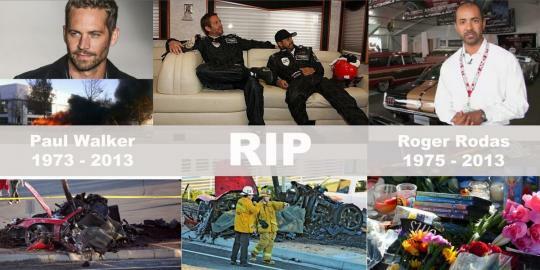 The two met almost a decade ago when Walker saw Rodas driving a Porsche GT3 he once owned. They became friends, then business partners. Always Evolving and Walker’s estate are handling the sale of the late actor’s cars. Paul Walker is a famous actor,widow sure will sue the factory,American talk about "Human rights",even a Ford truck driver that died in a accident,the widow gets 'millions' in payment due to a flaw in the fuel tank design,that exploded,after a crash.